It is disturbing to notice the observation that leakage is a regular feature in this 15-year old pipeline. Our water resources are getting diminished day by day. We have to take strict measures in safegaurding the water distribution system. Zero leak policy should be enforced by the government authorities. There is no proper regulation in our country to conserve water from the present resources. Our present approach is not to bother on leakage, but exploring new water bodies to meet the demand. There are many instances of corrosion induced water pipeline leakages in our country. Water management authorities should follow a proper design to select the economical system and operate the distribution in an efficient way. Proper Material selection is often ignored in the present design systems. The resultant effect is not only the leakage, but also leading to health impacts on public who consumes this contaminated water.Government should encourage corrosion awareness for water distribution. Frequent leakages in 15 year old pipeline show the negligence attitude of water management authorities. 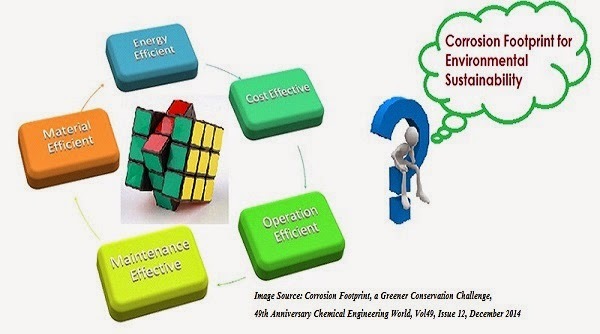 They don't perform the life cycle cost analysis to choose the right materials of construction. Replacement of failed portion with another material may provide intermittent solution, not the long term answer for leakages, if there is no proper material selection approach followed for the present case. After some years we will have the same story of leakage. Our government research institutions should closely work with water management authorities to perform useful research on finding appropriate solutions for failures in public water distribution systems. They focus on producing fundamental research works that carry Impact Factor for their publications in Journals. They should be open for collaboration with various resources to resolve the most serious corrosion concerns in our country.